It is now accepted that disorders of sleep are an integral part of neurodegenerative diseases but for many years they were not considered a relevant part of these diseases. 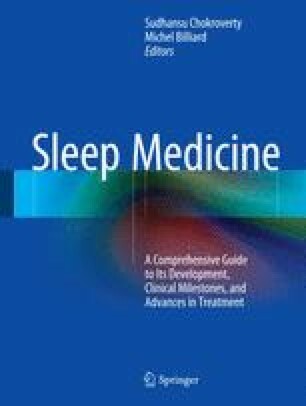 Many observations over the past two decades indicate that the sleep–wake mechanisms can be damaged by the same pathologic processes producing the classical diurnal symptoms, by the treatments used, and by the physical or cognitive disability of the disease producing a variety of sleep–wake disorders. In patients with Parkinson disease, for instance, insomnia was for many years the only recognized sleep problem, but in the past 15 years REM sleep behavior disorder, persistent hypersomnia, and sudden onset of sleep episodes have been incorporated into the constellation of sleep alterations. Patients with multiple system atrophy are also affected by insomnia, hypersomnia, rapid eye movement (REM) sleep behavior disorder, and vocal cord palsy leading to stridor and obstructive sleep apnea. REM sleep behavior is much less frequent in progressive supranuclear palsy and Huntington disease, two conditions where insomnia may be disabling. Restless legs syndrome is frequent in some hereditary ataxias. In the neurodegenerative diseases, the cause of sleep disorders is multifactorial including the degenerative process itself, the introduction of dopaminergic agents, parkinsonism leading to immobility, and coexistent disturbances such as depression, dementia, and anxiety. It is nowadays recognized that the treatment of sleep disorder occurring in the setting of neurodegenerative diseases should be individualized.